Sliema-based Sparkasse Bank Malta has been granted a licence to operate in Ireland, CEO Paul Mifsud confirmed. The Central Bank of Ireland gave Sparkasse a depositary licence just before Christmas. Mr Mifsud said that starting 2019 with a new licence in hand would permit Sparkasse to continue developing its custody and depositary services overseas. Sparkasse has developed its business model in Malta over the past 20 years and, through organic growth, has become the second largest non-core domestic bank in Malta and a significant market player in terms of the custody services it provides to the fund industry locally,” Mr Mifsud said. He said the bank had asserted itself locally to establish what he described as a strong and sustainable business, providing the necessary foundation allowing it to seek to emulate its business model in other EU jurisdictions, which, like Malta, were focused on international business and the promotion of a fund industry. Ireland was the bank’s preferred starting point for the expansion because the country was a well-established fund jurisdiction with over €3 trillion of assets under management, he added. The Irish branch, located in its Central Dublin office, is headed by Donncha Morrissey, who has over 15 years of experience in Ireland’s depositary sector, working at State Street and Citi before joining Sparkasse. Mr Mifsud commented that the licence would bring new opportunities for the bank, its customers and staff. The bank, he noted, intended to continue to expand overseas, both geographically and in the range of services offered. 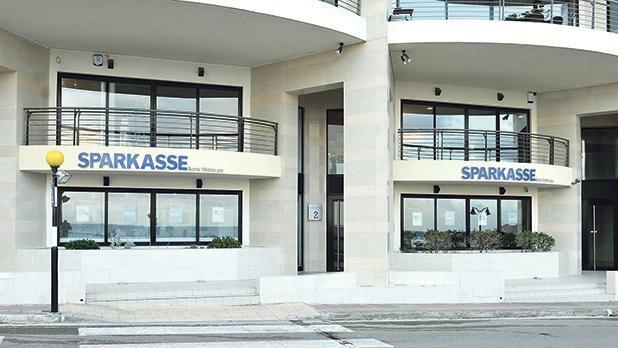 The bank hit the headlines last summer because of its link with a suspected Venezuelan money laundering racket, although sources had told the Times of Malta in August there was no apparent wrongdoing on Sparkasse’s part.